Los Angeles: Kawhi Leonard poured in a career-high 45 points to lead the Toronto Raptors to a 122-116 NBA victory over the Utah Jazz on Tuesday. 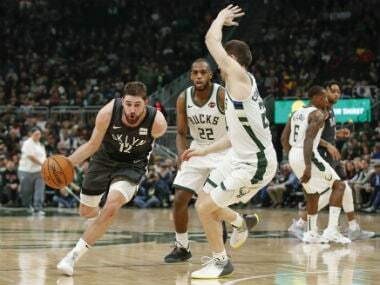 With the win the Raptors improved to 28-11, keeping the pressure on the Milwaukee Bucks who boosted their league-leading record in terms of winning percentage to 26-10 with a 121-98 victory over Detroit. The Raptors were again without injured Jonas Valanciunas and Kyle Lowry — whose return date remains uncertain after he received anti-inflammatory injections to combat back pain last week. 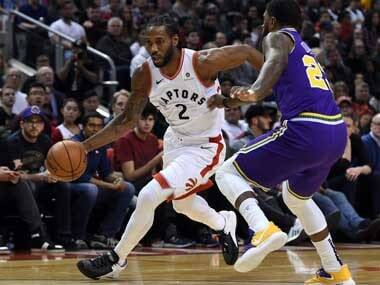 In their absence, Leonard excelled, making all seven of his field goal attempts in the third quarter as he scored 19 points in the period and the Raptors — who trailed by two at halftime — pulled away. They took a 10-point lead into the fourth quarter, and while the Jazz managed to cut the deficit to as few as four, they couldn't get any closer. 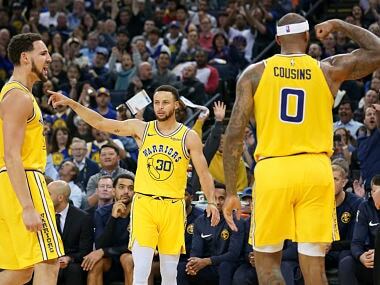 "They're a well-coached team, they've got great guys on their team that compete for every possession," Leonard said, adding, "we just tried to stay in it till the end of the game. We had to get some stops on the defensive end and try to come back and execute on the offensive end — it was a good win for us tonight." Pascal Siakam contributed a career-best 28 points with 10 rebounds for the Raptors and Norman Powell added 14 points off the bench as Toronto improved to 28-11. In Milwaukee, the Bucks won their fourth straight with the help of 25 points from Brook Lopez, 22 from Khris Middleton and 18 from Eric Bledsoe. "I was feeling good. We were moving the ball really well ... my guys were making great passes to me all night," Lopez said. 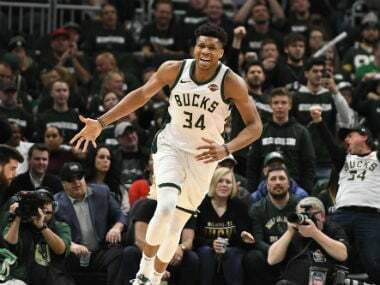 Bucks star Giannis Antetokounmpo had a relatively modest 15 points, but they included a stunning one-handed dunk over Jon Leuer in the final minute of the first quarter. Milwaukee were up by 16 by halftime, the margin swelling to as many as 28. "Pleased with the focus, pleased with the effort," said Bucks coach Mike Budenholzer, adding, "we keep talking about wanting to do it for 48 minutes ... felt like tonight was one of those nights where we got closer to that, without a lull or very few lulls if any." 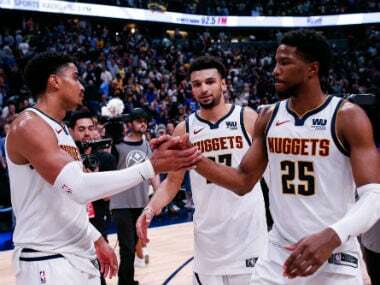 In Denver, Nikola Jokic's triple-double of 19 points, 15 assists and 14 rebounds propelled the Nuggets to a 115-108 victory over the New York Knicks. The Knicks dropped their eighth straight, but they didn't go quietly, leading by as many as 10 in the first half and pulling within four points with less than four minutes to play before a three-pointer from Jokic with 2:55 remaining helped Denver pull away. Jokic notched his third triple-double of the season — scoring in double digits in three key statistical categories as the Nuggets won their third straight. The Portland Trail Blazers opened 2019 in dramatic style, winning an overtime thriller against the Kings in Sacramento 113-108. Jusuf Nurkic produced 24 points and a career-high 23 rebounds to go with seven assists, five blocked shots and five steals for Portland. Damian Lillard came alive late, forcing overtime with a layup with 15.5 seconds remaining in regulation and scoring five of his 25 points for the Trail Blazers in overtime.